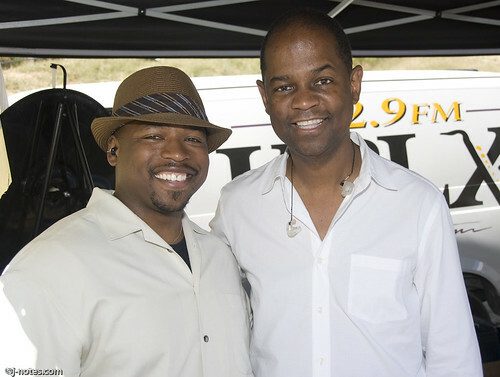 Photo of guitarists Terrence Brewer and Earl Klugh by James Knox. All rights reserved. This entry was posted on Sunday, September 14th, 2008 at 1:52 pm. It is filed under Concert Reviews, Jazz on the River. You can follow any responses to this entry through the RSS 2.0 feed.